I had planned my short trip to Milan for non-food reasons. 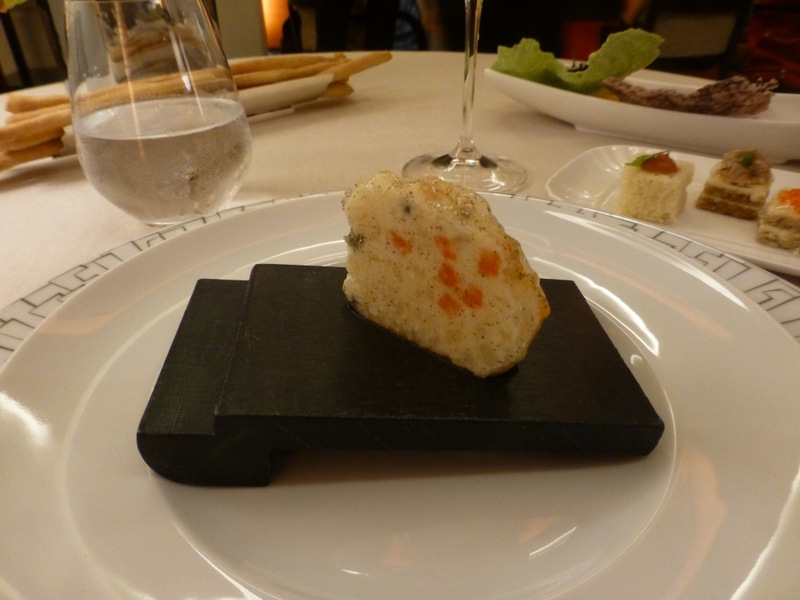 A search for modernist cuisine led me to the 2-star Michelin Ristorante Cracco. While they don’t have an online reservation system, they do arrange reservations via email. I found out that I could not secure a dinner reservation for either of the nights I was to be in Milan due to events being held at the restaurant, but I could get a lunch reservation. That ended up to be fine, as the menus appeared to be the same for both. To start off the meal, they brought bread selection from which I could pick, as well as several small bites to get started.